What’s the big surprise that in 2008 Mitt Romney's political action committee made a $10,000 donation to the National Organization of Marriage when the homophobic anti gay rights organization was seeking repeal of a California law legalizing gay marriage? Living in Massachusetts we know how anti gay Mitt is. We’ve dealt with him & knew as governor of the Commonwealth he was anti gay. In an interview with Arline Isaacson Co-Chair of the Massachusetts Gay & Lesbian Political Caucus back in December we talked about Romney flip flopping on LGBT equality. 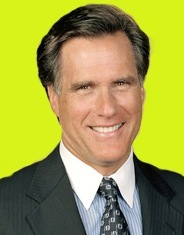 Isaacson stated, “Romney is of course known for having his feet planted firmly on both sides of many key issues. LGBT rights is but one of those issues. When he was running in the 90s against Ted Kennedy for the US Senate seat, Romney declared to gay-only audiences that he would fight for 'gay rights' & be a stronger gay advocate for us than Kennedy. Yet a few years later, when Romney was Governor AND eyeing national office, he led the charge against allowing LGBT’s the same marriage rights as other citizens in Massachusetts in either marriage or civil unions. Romney has a history of toggling between polar opposite views on many important public policy questions; depending on what office he is running for & the location of that office. This phenomenon was evident around the debate over civil unions. He was "kinda" for it rather than have us be allowed to marry before he was firmly against it.” Listen To Audio Interview on OUTTAKE VOICES™…. This is just tip of iceberg. The federal class action suit filed in U.S. District Court by Maise seeks to charge all big super PAC donors and other via third party groups as trying to evade law.